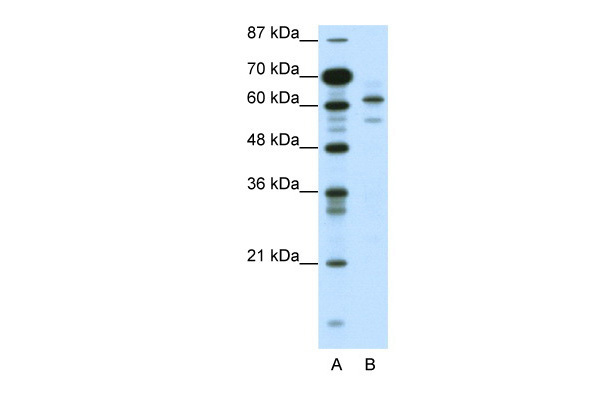 ZSCAN2 contains several copies of zinc finger motif, which is commonly found in transcriptional regulatory proteins. Studies in mice show that ZSCAN2 is expressed during embryonic development, and specifically in the testis in adult mice, suggesting that it may play a role in regulating genes in germ cells.The protein encoded by this gene contains several copies of zinc finger motif, which is commonly found in transcriptional regulatory proteins. Studies in mice show that this gene is expressed during embryonic development, and specifically in the testis in adult mice, suggesting that it may play a role in regulating genes in germ cells. Alternative splicing of this gene results in several transcript variants encoding different isoforms.The protein encoded by this gene contains several copies of zinc finger motif, which is commonly found in transcriptional regulatory proteins. Studies in mice show that this gene is expressed during embryonic development, and specifically in the testis in adult mice, suggesting that it may play a role in regulating genes in germ cells. Alternative splicing of this gene results in several transcript variants encoding different isoforms. 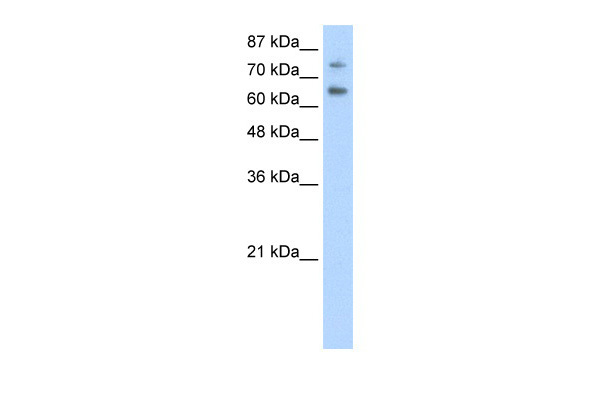 ZSCAN2 Antibody (N-term) (AP54740PU-N) western blot analysis in Jurkat,ZR-75-1, MDA-MB231 cell line lysates (35 µg/lane). 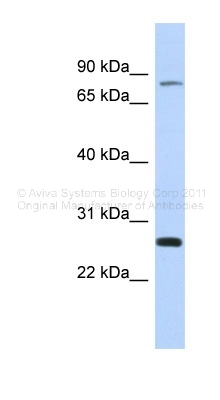 This demonstrates the ZSCAN2 antibody detected the ZSCAN2 protein (arrow).